State-of-the-art technology aligned with San Jose’s Vision Zero, an effort towards achieving zero traffic deaths and providing safe streets for all. 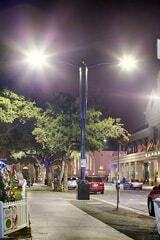 Somerset, NJ – Royal Philips (NYSE: PHG, AEX: PHIA), the global leader in lighting and the City of San Jose officially announced a project to pilot 50 Philips SmartPoles, which bring together energy efficient LED lighting and fully integrated 4G LTE wireless technology by Ericsson. This pilot was initiated through the City’s Demonstration Partnership Policy, which was established to support the City’s Economic Development Strategy and City operations. 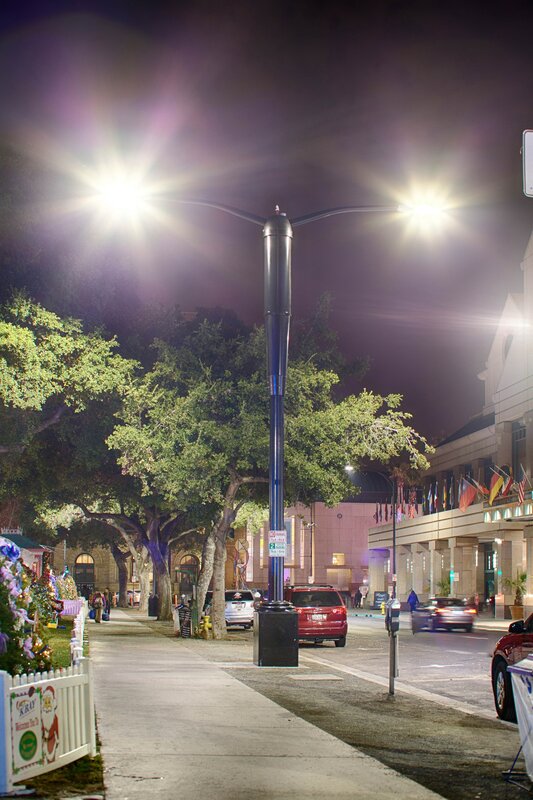 The pilot partnership will also help test backbone technology needed to power San Jose’s smart city transformation so that it can save energy, have brighter streets at night, and respond to the changing needs of its residents. 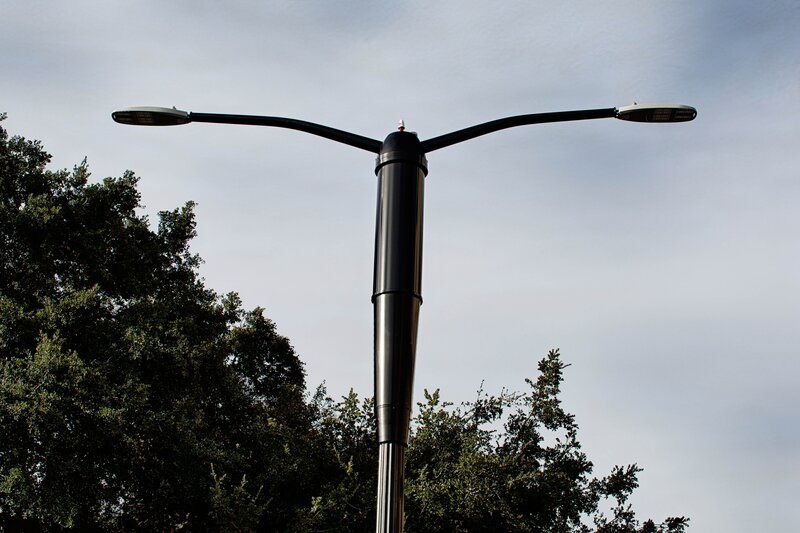 The 50 Philips SmartPoles, along with 750 Philips RoadFocus LED luminaires, are connected through a system in which they can be wirelessly controlled to modify lighting to accommodate the needs of the city. 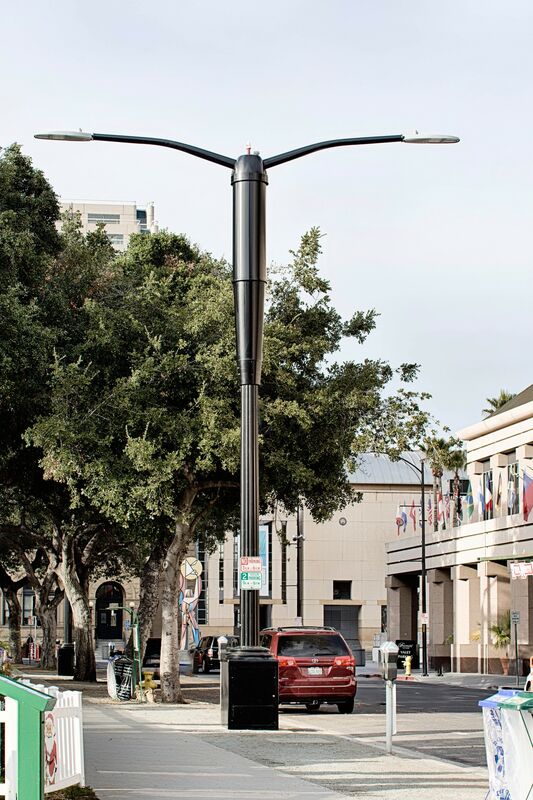 The installation of the LED luminaires is aligned with San Jose’s Vision Zero Street lighting goal, which is aimed at improving nighttime safety by updating streetlights so that they are brighter and provide more energy efficient “white” LED light. The new Philips SmartPole fixtures are 50 percent more energy efficient than conventional street lighting. For this implementation, Philips collaborated with utility company PG&E and its metering engineering team over an unprecedented 90 day development cycle to design, test, certify and install a specialized two-way communicating meter that is affixed to the top of the SmartPole. This new meter measures the amount of electricity used by the mobile network and transmits the data transmitted directly back to PG&E. The new meters de-clutter dense urban areas by eliminating the need for standalone pedestal meters that are typically installed next to any equipment that uses electricity. Philips SmartPoles enable seamless mobile wireless 4G/LTE connectivity. Small cell technology from Ericsson housed in the poles provides increased data capacity in the mobile network ensuring that citizens get improved data coverage. Philips SmartPoles were specifically designed and tested to accept FCC licensed wireless mobile network operator equipment. This enables an alternative deployment methodology for 4G LTE broadband services which streamlines, standardizes and broadens the capacity for Internet of Things (IoT) connectivity and allows for increased innovation in Smart City technology to benefit the citizens of San Jose. For mobile network operators, this innovation offers new possibilities to find the right site location. It also helps scale mobile wireless 4G/LTE infrastructure deployment beyond traditional sites. As a result, operators can improve data coverage and capacity for citizens, businesses and visitors so there are no more signal dropouts.